“His Endless Love” from Christian Faith Publishing author Beverly Schenewolf is a slender autobiography of the author’s marriage that lasted until death did them part, a true love that mirrored the love of the heavenly Father. “His Endless Love”: an inspiring true story of true love, is the creation of published author Beverly Schenewolf, a blessed mother and grandmother from Pennsylvania whose late husband had also been her high school sweetheart. She writes about their fifty golden years together. Schenewolf writes, “His Endless Love is a touching story about a couple who spent all but fourteen years of their life together, and the journey God walked them through every step of the way. Published by Christian Faith Publishing, Beverly Schenewolf’s new book is a heartening reminder that if love is true, it will last, even beyond a lifetime. Beverly draws from her deep meditations on scripture, bringing more depth and richness to her musings on love, and leaving it impossible for the reader to remain cynical about the nature of love. View a synopsis of “His Endless Love” on YouTube. 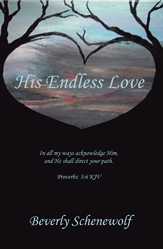 Consumers can purchase “His Endless Love” at traditional brick & mortar bookstores, or online at Amazon.com, Apple iTunes store, or Barnes and Noble. For additional information or inquiries about “His Endless Love”, contact the Christian Faith Publishing media department at 866-554-0919.